The Bright Sunny Pines Resort offers view of majestic, scenic & picturesque snow clad ranges of Himalayas. 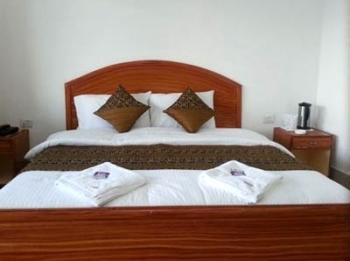 The hotel is situated in clean, fresh & peaceful environment near Lansdowne. 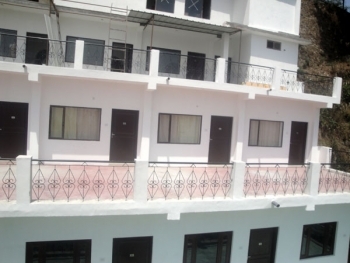 The Hotel Bright Sunny Pines Resort is located near Jaiharikhal toll plaza Lansdowne, just 6 kms from Gandhi Chowk Lansdowne. There are 15 rooms in Bright Sunny Pines Hotel & Resort, with all the basic facilities and amenities to make your stay comfortable. Most of the rooms and suites have private balconies and a Master Bedroom With Dressing room area. There is mulit cuisine kitchen in Hotel Bright Sunny Pines in Jaiharikhal near Lansdowne, which offers both veg and non-veg food. Delhi to Kotdwar: Delhi --> Ghaziabad --> Meerut --> Mawana --> Bijnor --> Kiratpur --> Najibabad --> Kotdwar. Kotdwara to Dogadda: 25 Kms, Dogadda to Jaiharikhal: 15 kms. 2 kms out of Doggada there is a T-junction. Take the LEFT turn on the PAURI road (the right turn goes to Lansdowne which is 23 kms from this point ). 15 1/2 kms from this turn one has to take a RIGHT turn for Lansdowne and Hotel Bright Sunny Pines Resort at Jaiharikhal is just 5.2 kms away. Take a train to Kotdwar railway station (40 km/1 hr from us). The best option is Mussoorie Express (dep: Old Delhi 10:15 pm; arr: Kotdwar 5:20 am) Hire a cab to Lansdowne, should be about Rs 500. We can arrange to pick you up from there.